El Taller Latino Americano (The Latin American Workshop) has served New York City since 1979. We are committed to bridging the gap between Latin America and North America through language, art, dance, theater, and music. For over 30 years, we have partnered with public schools, hospitals, and other community organizations. Bilingual programming developed with Sesame Street has helped form the foundation of our curriculum to engage children and adults. Space is limited to no more than 10 children per week in order to foster an effective learning environment. Call early to reserve a space. 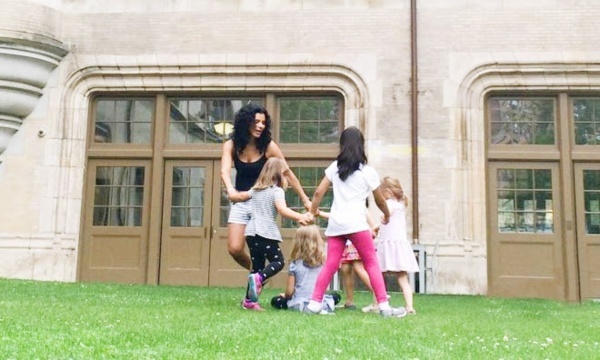 From las playas hermosas del caribe to las montañas altas del Sur, El Taller's "Aventuras del Verano" summer Spanish program gives children an immersive language experience filled with art and music. Each week, students will find inspiration in the culture, geography, and traditions of a different country and its peoples. They will develop vocabulary around the themes through music, movement, art projects, storytelling, and games taught primarily in Spanish. Classes are taught by native speakers in a bilingual format with approximately 75% of the class given to Spanish, and special guests from each week's country add an authenticity to the experience. Class is open to children of all language levels from ages 4 to 10. Sing "La milonga de los colores" and paint with Alejandro Xul Solar's art work. Study the rare freshwater sharks of Lake Nicaragua. Learn about La Gigantona y El Pepe Cabezón puppets, with the protesting poetry and street dances. Dance merengue and make self portraits with birds, inspired by Candico Bidó. Learn Puerto Rican bomba and plena rhythms, combining African, European, and indigenous culture along with vocal holiday music. Aztec mythology emphasizes butterflies. We will use this inspiration in our art, while also making guacamole and horchata. Sing Bernardo Palombo's song "Los Idiomas" and learn about the mixture of cultures in NYC. Discover your identity. Travel through Latin America this summer without ever leaving Manhattan! 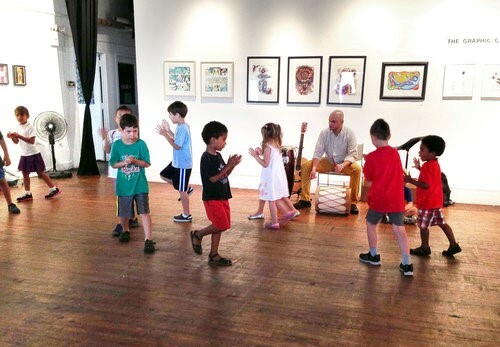 El Taller Latino Americano’s popular “Aventuras del Verano” Spanish Summer Arts Camp returns July 5–Aug. 12. Our original curriculum encourages Spanish language development through the visual arts, music, movement, storytelling, and games in an immersive bilingual environment. Children explore the cultures and customs of Spanish-speaking countries with weekly "travels" through each region of Latin America. Register for the Summer Program for one week, or up to the full six weeks. Open to all language levels, ages 4-10.